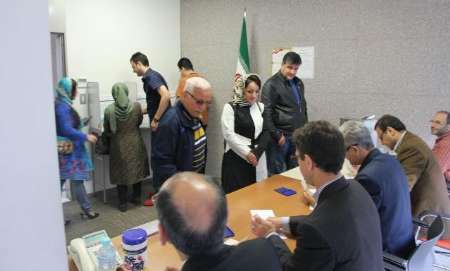 MNA – Over 30,000 Iranian expatriates in various states in the US participated in the 12th Iran’s presidential election on May 19 to have a say in the future of their country. Iran’s Ambassador to the UN Gholamali Khoshroo in a message on Monday thanked Iranian expatriates in the US who made an unprecedented massive participation at as many as 55 ballot stations all across the United States to take part in the 12th Iran’s presidential election on Friday. “Undoubtedly, the massive participation of Iranian people in the polls will serve as a valuable capital for the country’s diplomacy that can be used in pursuing national interests and objectives and improving Iran’s international image,” Khoshroo said in the message. These figures show a fivefold increase and the highest voter turnout for Iranian expatriates in comparison with the previous presidential election.